Your vehicle relies on a number of components to keep it running healthily. One of these many components is its oil filter. Learn all about its functions and importance in this post. In order for your vehicle to operate smoothly, it relies on a number of systems, parts, and fluids to perform their respective jobs. If one of these stops working it can result in trouble for your vehicle as a whole. Because of this, it's very important that you have at least a basic understanding of your vehicle's parts. It's very likely that you already understand the importance of the motor oil in your vehicle, but how much do you know about your oil filter? This post can help you get to know what it does and why it's so important. Your car's engine needs oil in order to keep its parts lubricated and working well without suffering any damage. Clean motor oil provides the best conditions for the metal parts in your engine to continue working in harmony. After a while, however, your oil may start to get dirty thanks to debris and other contaminants that form in the system. This is why it's important that you take care of oil changes when needed. If your oil isn't changed regularly and your car is forced to work with dirty oil, your engine may not be getting the protection it needs. Regular oil changes can prevent things like debris and deposits from forming in your engine. This means less damage and wear for your engine. Why Does Your Oil Filter Matter? You may be wondering what role your oil filter plays in all of this. From its name you may have already guessed that this part is in charge of filtering your oil, but what does this mean? As your oil makes its way through your engine, it may pick up contaminants along the way. When it reaches your oil filter, this part filters out and traps these impurities so that when your oil continues on its way its cleaner than before. Oil filters were introduced in the 1920s and have come a very long way since then. The technology they use nowadays allows them to sift out particles of many sizes, resulting in better engine protection, longer engine life, and longer oil change intervals since your oil is kept cleaner for longer. Although oil filters may last longer than they did when they were first introduced, they still need to be changed periodically for best results. While many people keep up with their oil changes, many fail to also change their filter. When you think about it, this doesn't make much sense. If you're introducing clean oil into your engine but not a clean filter, your oil will get contaminated much faster. If your oil filter is already full it won't be able to filter out new contaminants as they appear in your new oil. If you're prepping your car for a synthetic oil change in Warminster, don't forget to also change out its old oil filter. Contact Synthetic Oil Direct for personalized attention and personalized product recommendations. Call them at (215) 834-8720 or stop by their online shop to learn more about their products. If you ask different people this question you're sure to get a number of different answers. Among the most common recommendations is to change the oil filter with every oil change. This will ensure your oil filter is able to keep your oil cleaner for longer. Some manufacturers don't think oil filters need to be changed so often so they recommend getting it changed every two oil changes. If your car is quite old, however, you may need to change your oil filter more than usual. This, of course, is only necessary if your car is very old and doesn't have a more modern filtering system. For the best results, check your manufacturer's recommendations. Keep in mind that oil filters are quite inexpensive so it doesn't hurt to change them often. 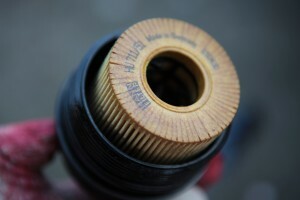 To keep your oil clean and your engine in top shape you do need to ensure you're using the correct type of filter. Just like with most products, you'll find a number of oil filters on the market that can be sorted by brand, price, quality, and other factors. For the best performance, it usually helps to invest in a quality filter. You will first have to look for the filtration efficiency or particle size retention of a filter. This is used to measure how well a particular filter can hold onto particles of different sizes. Be sure to also consider the dirt holding capacity, which lets you know how much a filter can hold before it needs to be replaced. Of course, be sure you are purchasing the right size oil filter so that it can actually do its job. Failing to use the proper size can result in oil leaks and other issues for your engine. Click here to check out AMSOIL's full range of oil filters. Don't let your synthetic oil change in Warminster go to waste! Be sure to replace your vehicle's oil filter along with its oil. Contact Synthetic Oil Direct at (215) 834-8720 to learn more about AMSOIL Oil's synthetic oil options, like their Signature Series 5W-30 Synthetic Motor Oil.